The Weekender #11: Belfast Baby! Can’t believe I’m already here! 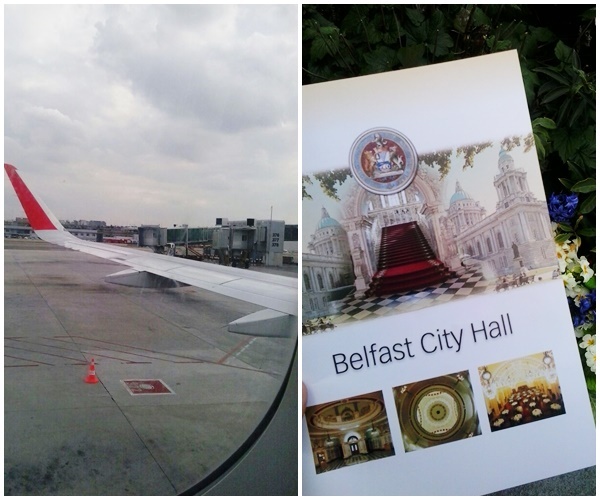 It’s been almost imposible to get to Belfast, but I can finally say I’m typing this post in my north irish house while I panic about the fact that tomorrow is my first day as an intern –no big deal..
Let me tell you first a bit about the journey. Just when I thought I was leaving on Wednesday, after all the goodbye parties, meals, and even some tears, on Tuesday our flight was cancelled on the last minute due to a French air control strike. The lovely people from Ryan air didn’t give us any kind of explanation, so we didn’t know about this after a few hours later. Anyways, we were forced to changed our flights from Wednesday to Friday and cancelled our hostels bookings to spend two nights in Dublin –hope the strike was worth it. Usually I’m the kind of person that stays calm and doesn’t freak out, but this whole situation got me really stressed. The flight cancelation was bad and I came to the conclusion that group chats should be forbidden. On the bright side, my mother told me I had managed the situation really good, so that’s what really matters –conceal don’t feel, don’t let them know haha. Right now I’m just chilling in the sofa and I think that’s pretty much what I’m going to do this evening. I can’t believe I’m already in Belfast!